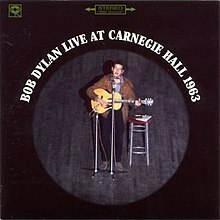 Short but sweet, “Live at Carnegie Hall 1963” is a six-song set that was sung live by Bob Dylan. Recorded at Carnegie Hall in one session, this is timeless Bob Dylan in his early years. This untraditional sounding, unforgettable crooning that brought Dylan to fame was shown in this recording with such songs as “North Country Blues” and “Ballad of Hollis Brown.” Without a doubt, any collector will be pleased with this album which wasn’t released until 2005.